Toast almonds in a skillet over medium heat. Remove from heat; finely chop almonds. Combine almonds, graham cracker crumbs and butter in a medium bowl; mix well. Press crumb mixture evenly over the bottom and 2 inches up the sides of a 10-inch springform pan. Set aside. Purée cherry filling in an electric blender or food processor until smooth. Pour puréed cherry filling into a medium saucepan. Combine 2 tablespoons granulated sugar and cornstarch; stir into cherry filling. Cook, stirring constantly, over low heat until mixture is thick and bubbly. Stir in almond extract. Set aside to cool. 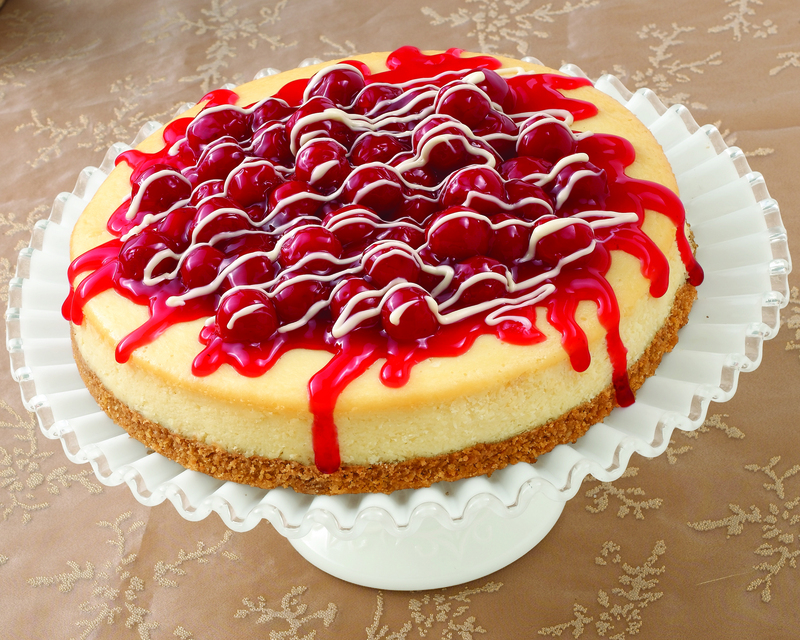 To assemble the cheesecake, pour one-third of the cream cheese mixture into prepared crust. Top with about 1/3 cup cherry purée. Swirl cherry mixture into cream cheese mixture, using a knife or spatula. Repeat layers twice, ending with cherry purée. Bake in a preheated 350-degree oven 60 to 65 minutes, or until the center appears nearly set when gently shaken. Cool on a wire rack. Refrigerate until ready to serve. To serve, spoon a generous tablespoon of purée on serving plate. Place cheesecake wedge on top of the purée.